Welcome to another exciting field season with the Shorebird Recovery Program! This year we are again posting from two different field sites in Alaska as we work to understand what limits Shorebird populations, and which sites are most important for their long migrations. Shiloh Schulte is working with the crew going back to the Canning River in the Arctic National Wildlife Refuge. He and the team there put geolocators on several species last year and will be holding their breath to see which birds came back to nest again this year, and then using all their tundra stealth to recapture them so we can collect their geolocators and learn vital secrets about where they have spent the past year. They will also be putting out new tags that can report their specific location by satellite. This collaborative project is led by Rick Lanctot from USFWS, together with Chris Latty of the Arctic Refuge, and continues our work started as the Arctic Shorebird Demographics Network. Shiloh will post soon to introduce this year’s team working at the Arctic Refuge and share the beginning of their story. So far it has been so cold and snowy on the distant north slope that the team has been waiting in Fairbanks for the weather to improve and the birds to arrive! 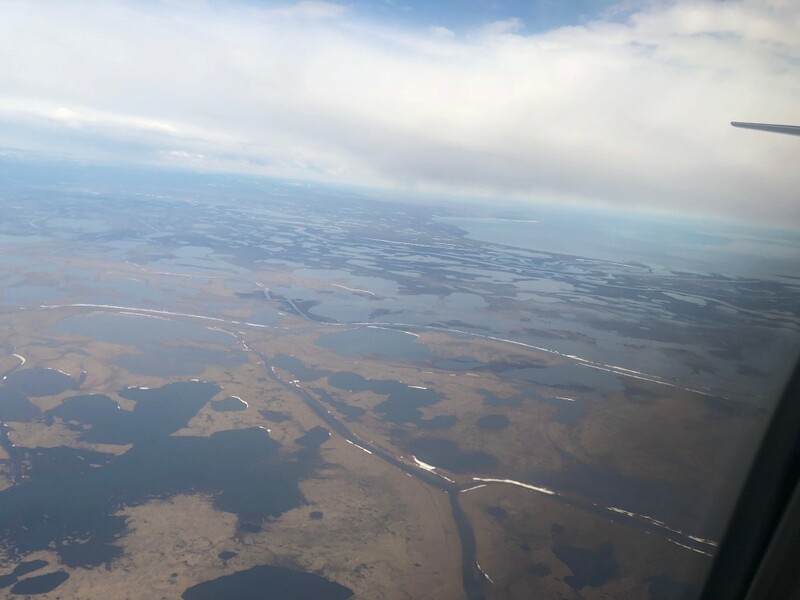 Meanwhile, another new project is just getting started in several National Parks and Wildlife Refuges in northwest Alaska. The National Park Service wanted to know if any Spoon-billed sandpipers, one of the world’s most endangered shorebirds normally only found across the Bering Strait in Russia, might be using similar habitats in Alaska. We will be doing surveys as part of the ongoing international collaboration called the Program for Regional and International Shorebird Monitoring to both search for this rare species, and also document what other shorebirds are using these areas. We are again working with Rick Lanctot as well as colleagues at the National Park Service on this project and will be based in Kotzebue Alaska. Brad Winn and Metta McGarvey are returning to work on this new project, and all three of us will be updating you on how the project is unfolding, and the interesting encounters we have in this region. 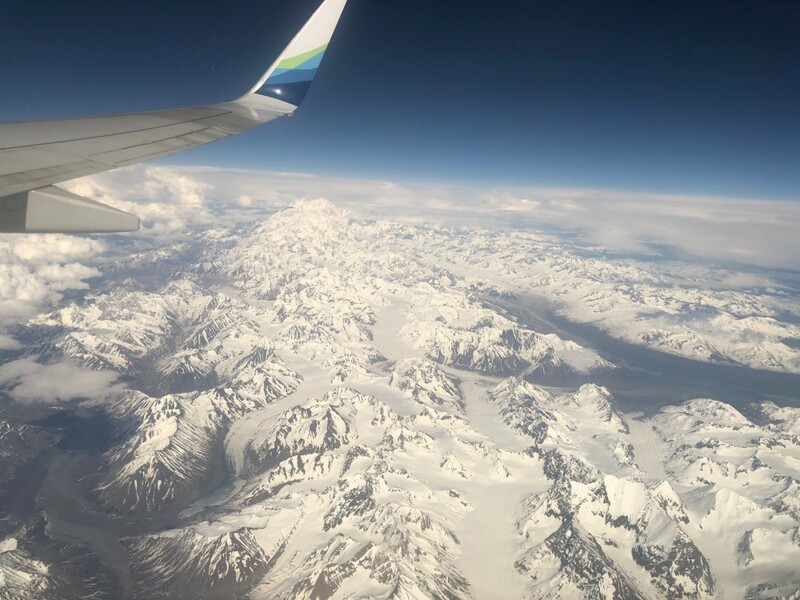 Flying over the Alaska Range while heading north through rugged mountains laced with glaciers. Once north of the mountains, the vast wetlands of the coastal tundra stretch beyond view.